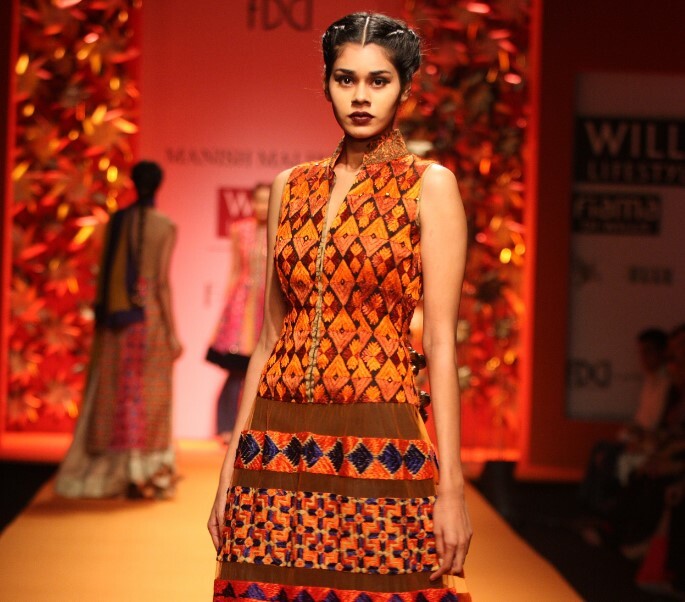 “There is an increasing impetus in fashion to revive the conversation about heritage. It certainly brings a sense of gratification to see our crafts being recognised on a global platform,” says designer Manish Malhotra. 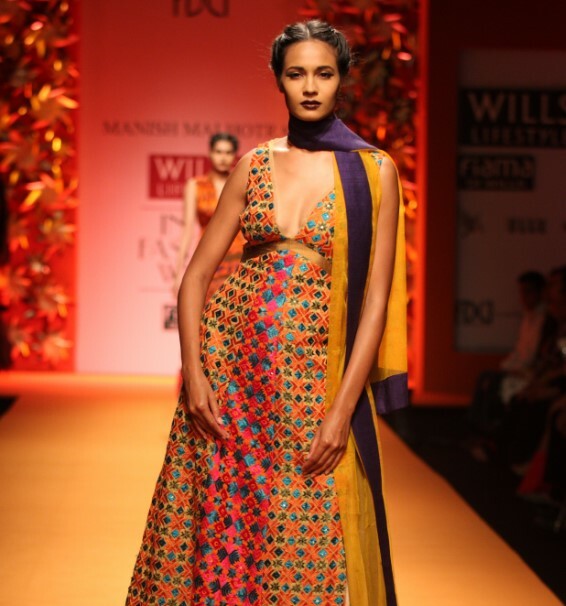 Ensembles from his Wills Lifestyle India Fashion Week 2013 collection ‘Threads of Emotion’ are up on display as part of the The Philadelphia Museum of Art’s exhibit. The showcase seeks to explore the history and unravel the beauty of the vibrant phulkari embroidery, which faded into oblivion after the partition of 1947. 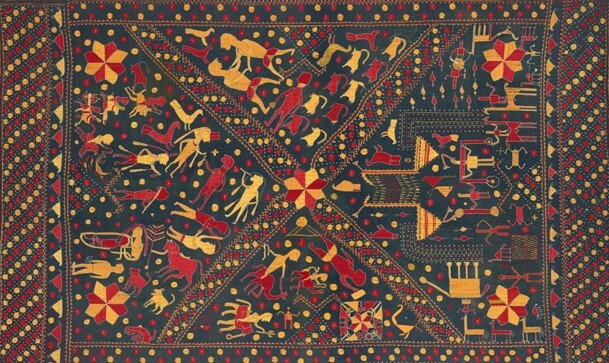 The Bonovitz’s assemblage of 19 phulkari works comprises almost all types of phulkaris – ranging from the baghs (all-over embroidered phulkaris, almost like a floral garden), darshan dwars (which were replete with architectural motifs and meant to be presented at gurdwaras), sainchis (which depicted scenes of routine village life) and the thirmas (which were embroidered on plain white khaddars for elderly women and widows) to the chopes (which were presented to a girl by her maternal grandmother on her wedding day). 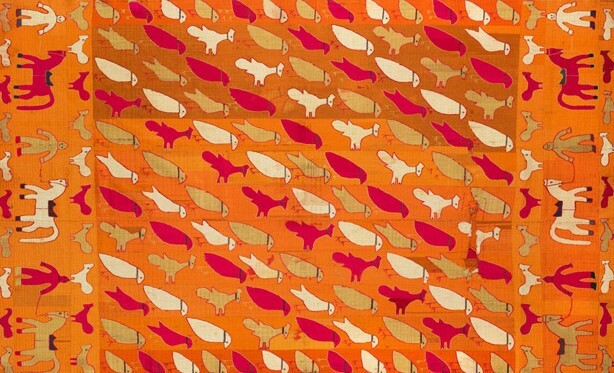 Malhotra’s work, on the other hand, reveals the technique’s geometric allure through ethnic anarkalis, sarees, kurtas and dupattas. 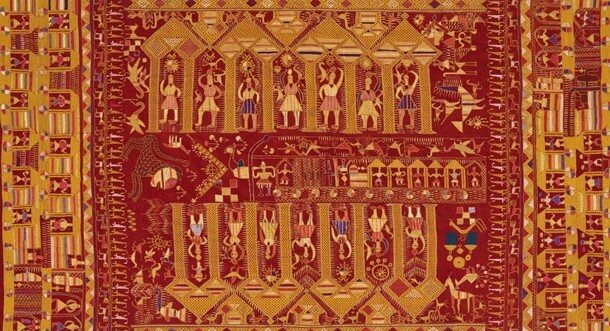 Through this display, the viewer is transported back to olden-day Punjab, to a time when the embroidery – far from being just a pretty piece of work – was used as a medium of expression… and had sewn into its fabric, layers of meaning and multitude of tales. 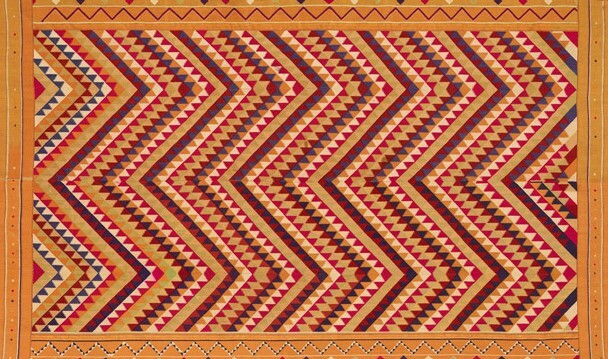 Phulkari: The Embroidered Textiles of Punjab from the Jill and Sheldon Bonovitz Collection is on display at The Philadelphia Museum of Art until July 9, 2017.